The crowd held their breath, frozen in place. 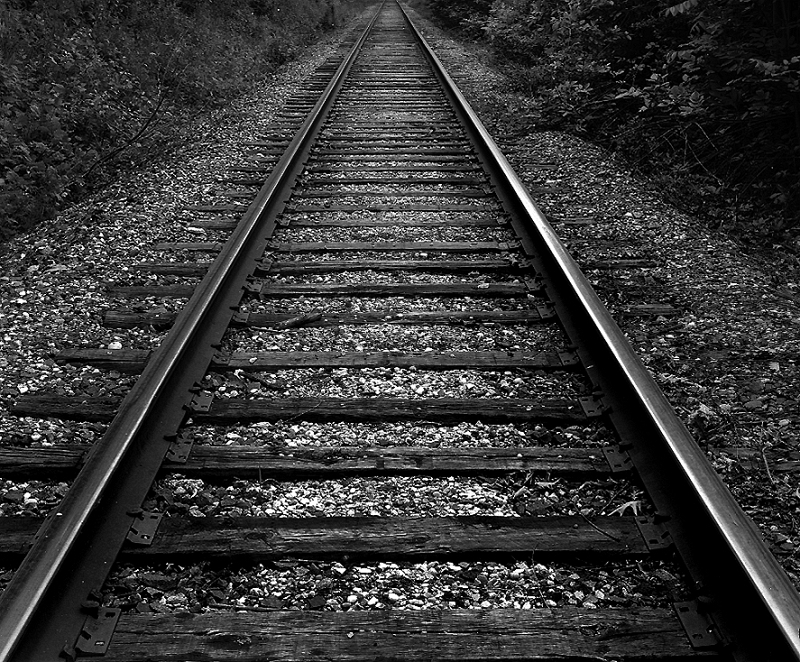 I began to walk toward the man, watching the tracks beyond him. When I got to the end of the platform, he was still about 20 feet away, so I nudged someone next to me, and said, “we need to help this guy!” So, we eased down onto the tracks, and by this time I began to yell. “What are you doing on the tracks, you’re going to get killed; get off there!” He got to his feet, but stayed on the track. “Come on, before the train comes, let’s get you back up,” I said, quietly into his ear. He resisted. “No, you don’t understand, “it’ll be so fast “Please, just let me alone.” We got on both sides of him, and muscled him to safety. By this time the police arrived, and took over. On the train ride in I rehearsed events in my mind; the wild look in the man’s eyes when I told him to get off the tracks, his resistance, and finally his tears. All the onlookers straining to catch a better look… and then it hit me. Why hadn’t anyone moved to help the man? Why so many spectators, and so few getting involved? Human nature I guess, fear, or perhaps indifference. But it amounted only to a collective gasp, empty of whatever fills us in that moment of decision, which makes us act despite ourselves. What we need in the church today is a good dose of whatever that is, if it’s faith, audacity, chutzpah, or just plain courage. We need a lot of it, actually, because this generation lies on the tracks, waiting for the 6:33 express to come along and end their disillusioned and desperate cries for help. They are acting out, wanting attention. Today I heard two facts that support this. First, it’s fashionable now in New York City for packs of teens to flash mob concession stands, rob them clean of all the candy and snacks, and scatter. The police can’t stop them. Also, when I arrived to campus today, I learned there had just been a major brawl, where students were using knives, and brass knuckles. The police were swarming the campus. Can we stem the tide? Yes! When a student embraces Jesus Christ, their life takes a radical turn. As we ‘get down on the tracks’ they see we are serious about our message, and serious about helping them to safety. I’ll never forget the time Ginnette plunged into the middle of a girl brawl, trying to stop things, before I rushed in and pulled her out. I have never loved her so much as in that moment. Perhaps we’re crazy, but can we do any less, and call ourselves Christ’s ambassadors? We risk verbal rebuttal, indifference, and something no one wants, rejection. That man on the tracks fought me, actually fought to die. Students seem the same way sometimes. If we risk getting on the tracks through prayer, our initiative and faith filled acts of mercy, it’s the strongest argument we have for the reality and invitation of a God who stood by one day and watched the ‘6:33’ crush His Son, for you and me. No one helped Him that day He climbed Golgotha, though all of God’s armies stood at the ready, wanting to do so. Those angels must have been looking at the Father, a little perplexed, seeing injustice rise like a hammer to crush the life of their Beloved. Watching the cross, darting eyes to the Father, ready to pounce, but stilled by Love. They did not move, as God willed the death of His son, so that we could be free, daring and strong enough to risk climbing down onto the tracks for this generation. Thank you for the great words of challenge!